Open enrollment for the Affordable Care Act has begun. It is also time to renew any existing policies that one may have obtained during the last enrollment period. Open enrollment began on November 15, 2014. It will continue through to February 15, 2015. If you are enrolled in a 2014 Marketplace plan, your coverage ends on December 31, 2014. It doesn’t matter when in 2014 you enrolled; your plan still ends in December. To continue your health coverage, you can renew your current health plan or enroll in another. If you want your new plan to begin on January 1, 2015, you must renew or change your plan by December, 15, 2014. If you haven’t enrolled in 2015 coverage by February 15, 2015, you generally can’t buy Marketplace health coverage for 2015 unless you qualify for a special enrollment period. Without healthcare coverage in 2015, you may have to pay a penalty. The fee in 2015 will be higher than it was in 2014. It will be 2% of your income or $325 per adult/$162.50 per child, whichever is more. This means it is important to enroll in a plan if you do not currently have coverage or if your coverage expires in December. November is National Family Caregivers Month. The theme for 2014 is “Care Comes Home.” This theme really highlights the care provided by friends and family within the home and community. 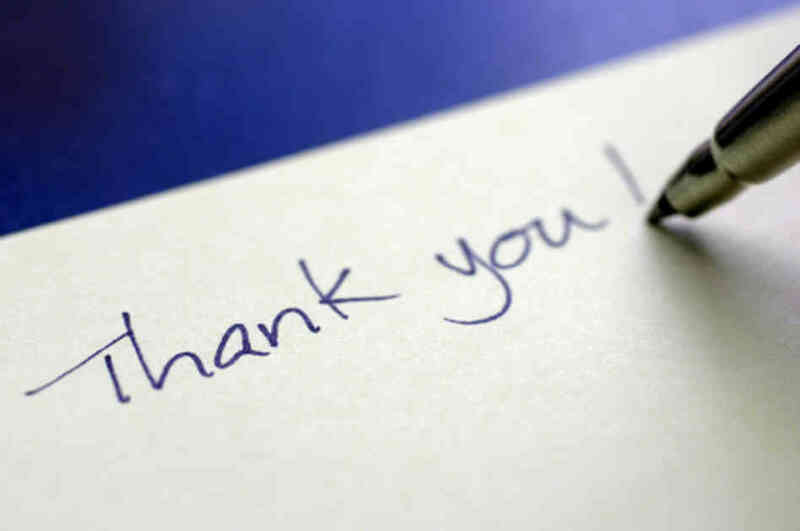 It is important to think about what caregivers do and to thank them for their selfless work. Currently, there are 65 million caregivers in the U.S. who are caring for an adult or child with significant health issues. This number is up 30% from 2010. The most prevalent demographic group for caregivers is adults ages 30 to 64. At some point in their life, 47% of U.S. adults say it is likely they will become a caregiver. This rise in percentage can be attributed to several factors. One factor seems to the health of the aging population. About 75% of U.S. adults over age 65 are living with a chronic condition such as diabetes, high blood pressure, or heart disease. The average caregiver provides about 20.4 hours per week of care, but some caregivers (13%) provide more than 40 hours of care per week. While some people work as a caregiver full time, seven in ten caregivers were employed at some point while they were caregiving. Working a full time job and providing care for 20 hours a week can be stressful. However, only three in ten caregivers said their caregiving situation was emotionally stressful. It is important to recognize caregivers and give them praise and thanks. Make sure to thank a caregiver this month for all they do. Hunger and Homelessness Awareness Week is the perfect time to think about what we are thankful for, and the perfect time to share our compassion with our neighbors who are experiencing homelessness. 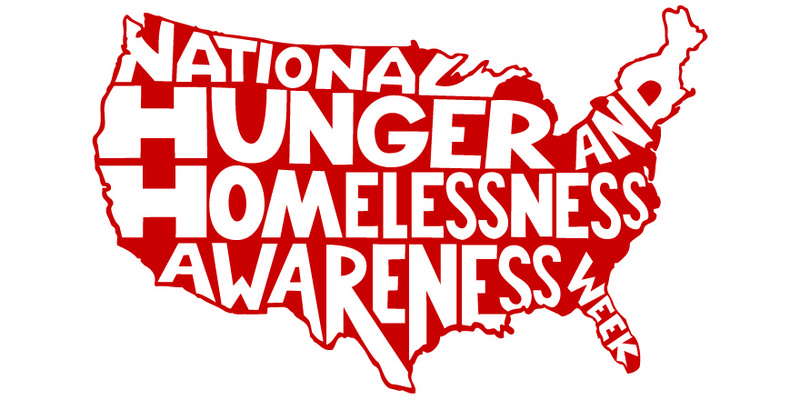 This year, Hunger and Homelessness Awareness Week is going to be held from November 16th through November 22nd. This year’s theme is youth homelessness. While the issues associated with living in poverty are difficult for everyone, homeless youths encounter unique difficulties when trying to secure housing, employment, health care, and emergency services. Lack of opportunities and discrimination put American youths at great risk to be on the streets without shelter, appropriate resources, and protection. Youth in this case is said to represent the ages of 24 and under. Each year, about 500,000 unaccompanied youths experience homelessness. Many homeless youths have left or aged out of foster care, fled abusive homes, or been rejected by their families because of their sexual orientation or gender identity. This year, the campaign calls for a more accurate and comprehensive effort to count the number of homeless youth in the nation in order to determine the number of beds that are needed over the next decade. The campaign also calls for raising the number of available beds and resources to try and match current needs. Schools and community groups can support this campaign. Event organizers can shine a light on vulnerable youth populations. Groups are encouraged to take actions that will be matched around the country to start a movement that will keep fighting long after Hunger and Homelessness Awareness Week. Find your local shelter (a few listed below) to see what resources they might need. Currently, there is only one bed available for every 125 homeless youth. Awareness and advocacy can help to increase the number of youth shelter beds increase and decrease the number of homeless youth on the streets. The Department of Veterans Affairs (VA) announced that the “Road to Veterans Day” initiative has had significant progress over the past three months. The initiative was announced on September 8th by Secretary Robert A. McDonald. Over the past three months, the VA has taken deliberate actions to improve service delivery for Veterans, rebuild trust, increase accountability and transparency and put the department on the path to long-term excellence and reform. To improve service delivery, the VA has prioritized efforts to accelerate Veterans off of wait lists and into clinics through the Accelerated Care Initiative begun by Deputy Secretary Sloan Gibson this summer. The Accelerated Care Initiative has helped VA medical centers increase access to care inside and outside of the VA, added more clinic hours and work days, deployed mobile medical units, and shared their best practices from VA’s high-performing facilities throughout the organization. Some improvements include the following: About 1.2 million more appointments were scheduled in the past four months than in the same period last year; reduced the national new patient Primary Care wait time by 18 percent; completing 98 percent of appointments within 30 days of the Veterans’ preferred date, or date determine to be medically necessary by physician; and authorizing 1.1 million non-VA care authorizations, a 47 percent increase over the same period last year. 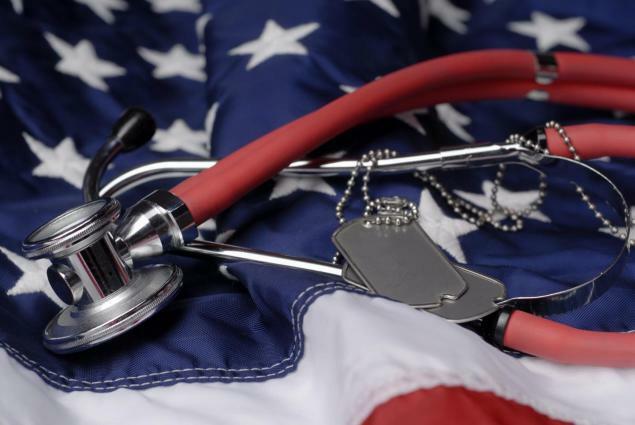 Over the past few months, the VA has focused on identifying the scope of the problems facing the department and taking significant actions to correct deficiencies. Since June of this year, the VA has proposed disciplinary action against more than 40 employees nationwide related to data manipulation or patient care. The VA is also working to cooperate with over 100 investigations currently being undertaken by the VA Inspector General, the Justice Department, and the Office of Special Counsel (OSC). As a part of the “Road to Veterans Day,” the VA is working on a VA homelessness program and the Veterans Benefits Administration’s Claims Transformation Strategy. The VA remains committed to working with its federal, state and local partners to end homelessness among Veterans, which has been reduced to 33 percent since 2010. The backlog of disability claims have been reduced by 60% since its peak in March of 2013. The backlog is on track to be eliminated by 2015 and will continue to expand online claim-submission capability in all programs. Students with disabilities are bullied at a higher rate than their peers. This is a problem the federal government has been tracking for years. Since 2009, the federal government has received about 2,000 complaints of bullying. But because a student has a disability, he/she might not receive the same protections as many of his/her peers. The Education Department’s Office of Civil Rights is looking to change this. This week, Assistant Secretary of Civil Rights, Catherine Lhamon, sent a letter to the nation’s public schools regarding new legal guidance to bullying in an effort to clarify that federal anti-bullying protections extend to about 750,000 more students than schools thought. Before this letter, the Education Department’s most recent guidance on this issue came in 2013 from the special education office, which oversees the enforcement of the Individuals with Disabilities Education Act (IDEA). However, not all students with disabilities are covered by IDEA. In reality, about three quarters of a million students are entitled to special education services under Section 504, but not under IDEA. In many cases, these students have been left out of schools’ attempts to police bullying. This new letter has been sent to clear up the confusion as some schools believed that students with disabilities who didn’t receive IDEA were not entitled to the same protection as the students who did receive IDEA. An example of this is when students talk a student with a disability into behaving inappropriately. The student with the disability is often blamed and the students who encouraged the behavior (sometimes force the behavior) do not have any consequences. While this can happen to any student, students with disabilities are more susceptible. However, if a student does not receive IDEA, teachers are less likely to attribute the students actions to bullying and more to a behavioral problem. Under federal law, most students with disabilities have a right to a “free and appropriate public education,” but in some cases, bullying can prevent them from receiving it which pushes schools into noncompliance. An investigation into the school would result in special resolution with the district that would require a re-evaluation of the student’s services, as well as counseling for the student and the development of school-wide anti-bullying policies and other federally mandated remedies. When bullying occurs, the schools must assess whether the bullying is related to a student’s disability and whether the bullying affects a student’s ability to receive a free and appropriate education. Investigations can be triggered if the school knew or should have known about the disability related bullying, but did not report or respond to it. After the bullying occurs, administrators should assess whether it has affected the student’s education opportunities. If it has, the student’s services should be adjusted accordingly. However, there are no hard and fast rules in determining if a student’s education has been interrupted. However, the onset of emotional outburst, increase in frequency or intensity of behavioral interruptions, or a rise in missed classes or sessions of section 504 services would be generally sufficient. The anti-bullying laws are unevenly or ineffectually enforced for students with disabilities. The current legal standard is difficult to prove in court. While the new guidance is seen as a positive step, it is yet to be seen how much of a difference this makes.